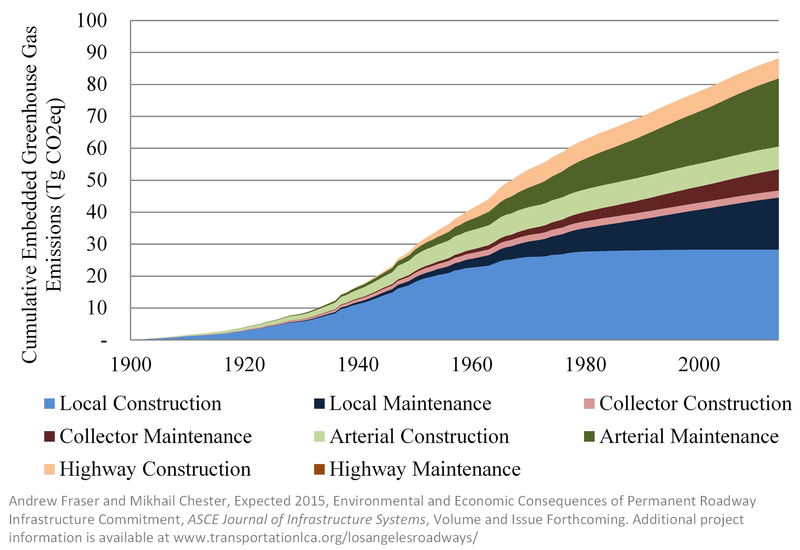 Growth of the Los Angeles Roadway network from 1900 to present. 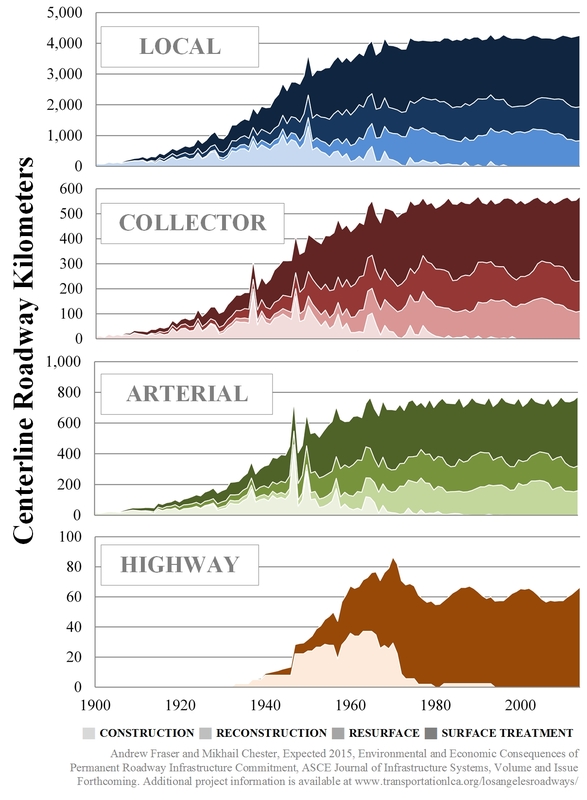 Roadway colors represent decade of construction where green is the oldest and red is the newest. 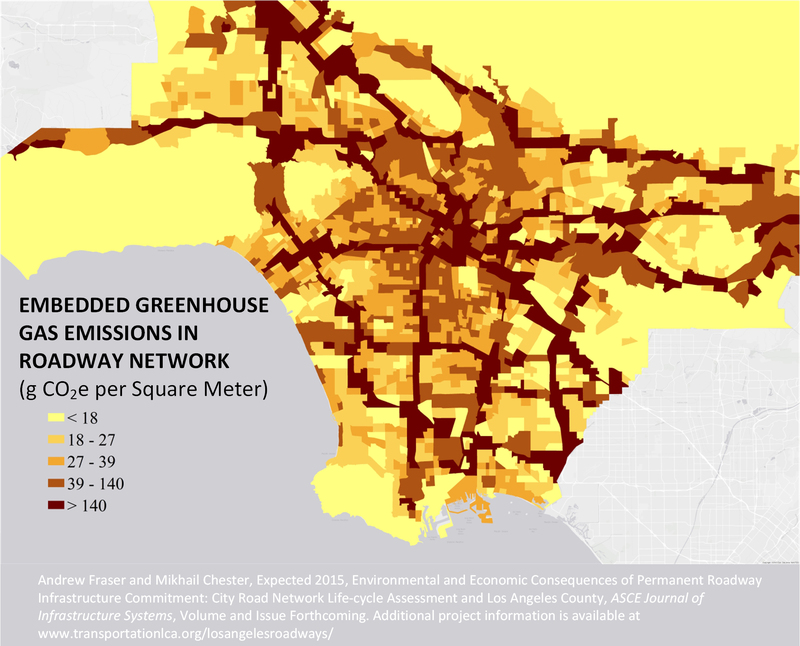 An inter-temporal life cycle cost and greenhouse gas emissions assessment of the Los Angeles roadway network is developed to identify how construction decisions lead to embedded impacts and create an emergent behavior (vehicle miles traveled by users) in the long run. 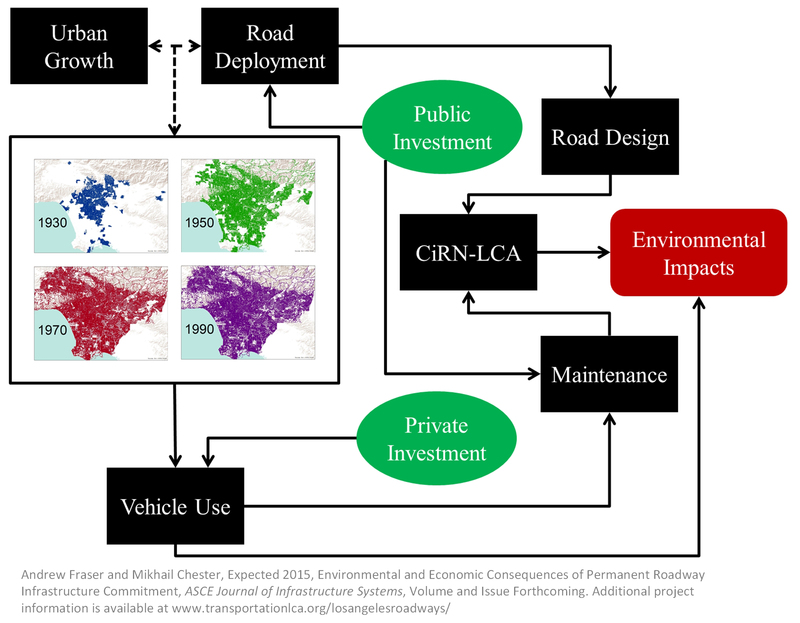 Expected 2015, ASCE Journal of Infrastructure Systems, Volume and Issue Forthcoming.